A Thai divorce agreement whereby parties agree to the terms of their divorce. This is a typical post from a Thai forum when speaking about divorce in Thailand and the divorce agreement. Laws could change, but there is a procedure for “uncontested divorce in Thailand“. Only requirement is that both parties have to agree to a divorce and both had to have signed proper forms at the District Registration office (“Amphur”). The problem is that few Thai women will want to agree to the procedure. Once the divorce is complete, neither party would be able to contest the disposition of the property. Property disposition had to have been agreed to by both parties in writing prior to the divorce registration. Part of divorce agreement is a statement that neither party will contest disposition of the property. 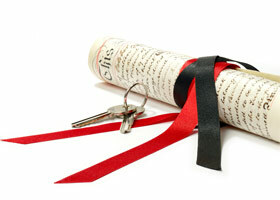 The divorce agreement is an agreement between the two parties in the process of the divorce. Normally the divorce agreement is drafted before the application for the divorce in Thailand as to how they will divide the property, maintenance and access to the child/children and also debts/liabilities. This is complicated as there might be a house registered in the name of a company or in the name of a Thai spouse. How will this be divided would be a negotiation process but this is where greed will set in. The other major problem that does arise is that expatriates normally return home after a divorce and return to their old lives. How does this affect your child/children? Your divorce agreement would have to make provision for this especially for minor children. You would have to find a reputable attorney in Thailand to write provisions into the divorce agreement with regards to your child/children’s status to travel overseas. Without the provision you might have problems later with getting your children to visit you back home. Even in an unopposed/uncontested divorce the need to ensure that none of your rights are infringed on is important. Always obtain the services of a divorce attorney in Thailand to at the very least draft your divorce agreement for you. Better yet is to ensure that you have a prenuptial agreement before you marry which would minimise your realise on the divorce agreement.